The brand new Lekker Basket collection is added with the Premium Dutch Front Basket, perfected for your daily commuter. The Dutch increases the practicality of your everyday transporter bicycle up a couple of notches. 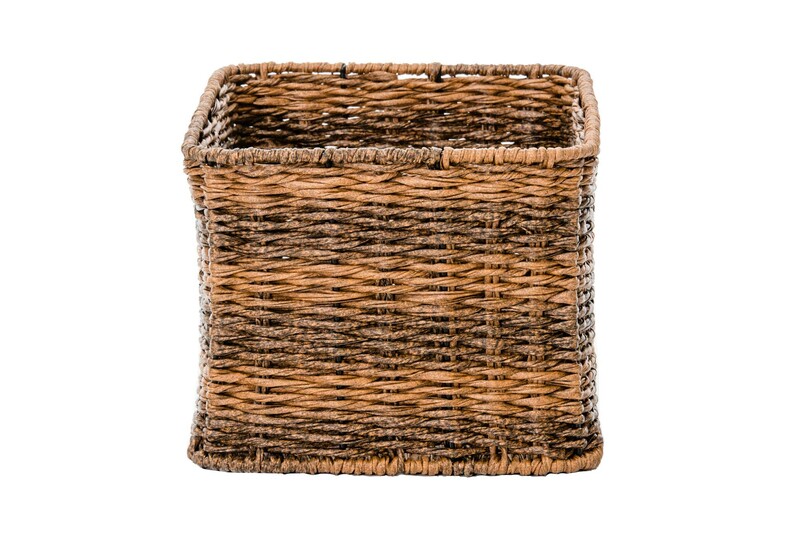 With its large dimension a perfect basket to carry your shopping, bags and more! Never lose your belongings out of sight, and in combination with the sturdy front carrier rack on the Jordaan easy to navigate through traffic. That’s also why we have decided to outfit our Jordaan Series with the handy Shimano Head Set lock, ensuring that even parked, your bike sits stable, and can be easily loaded with your goodies. 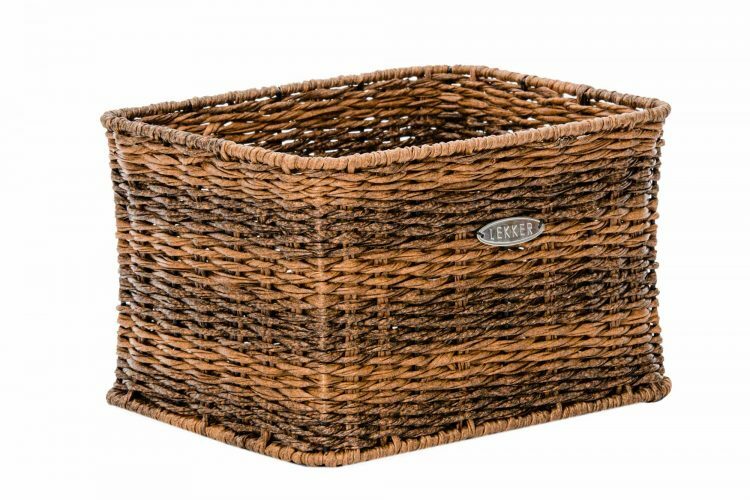 The Dutch Front Basket is made from a hard-wearing synthetic rattan, designed to withstand wear and tear while providing you with plenty of storage space for your daily shopping. The basket features a classic Dutch design and is a common feature in Amsterdams’ everyday traffic. Both practical and stylish offering storage solutions for every occasion. Your weekend ride to the beach, gym visit or to your local market. A key feature of this new line-up is its waterproof exterior. Just like our bicycle range, our Baskets are made to be used daily. Endeavor countless journeys in all sorts of weather condition but feel assured your basket holds its design, color, and practicality. 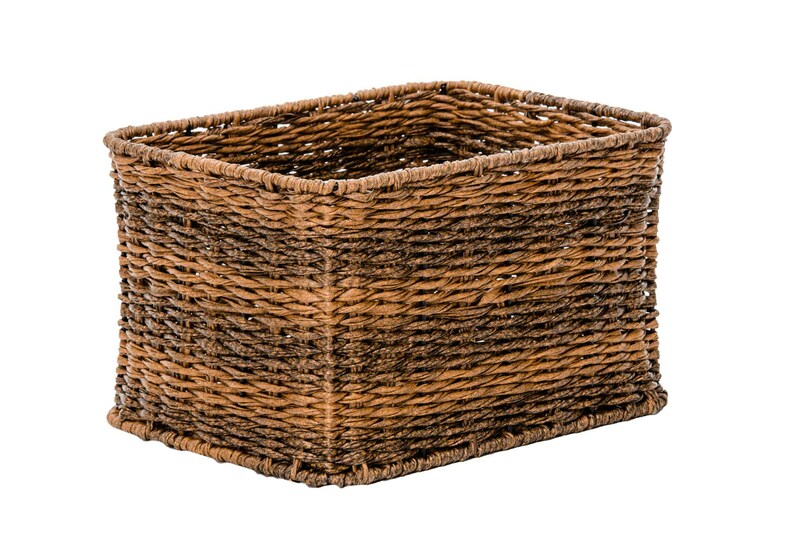 Browse our extensive collection of Front and Rear Baskets in both available in a Honey and Dark Brown finish. Waterproof materials ensure this basket is fit for all weathers. Maximum carrying weight of 5 kg (approx).